Attention: 1. The voltage could be AC 110 V / 60 Hz or 220 V/50 Hz. 2. 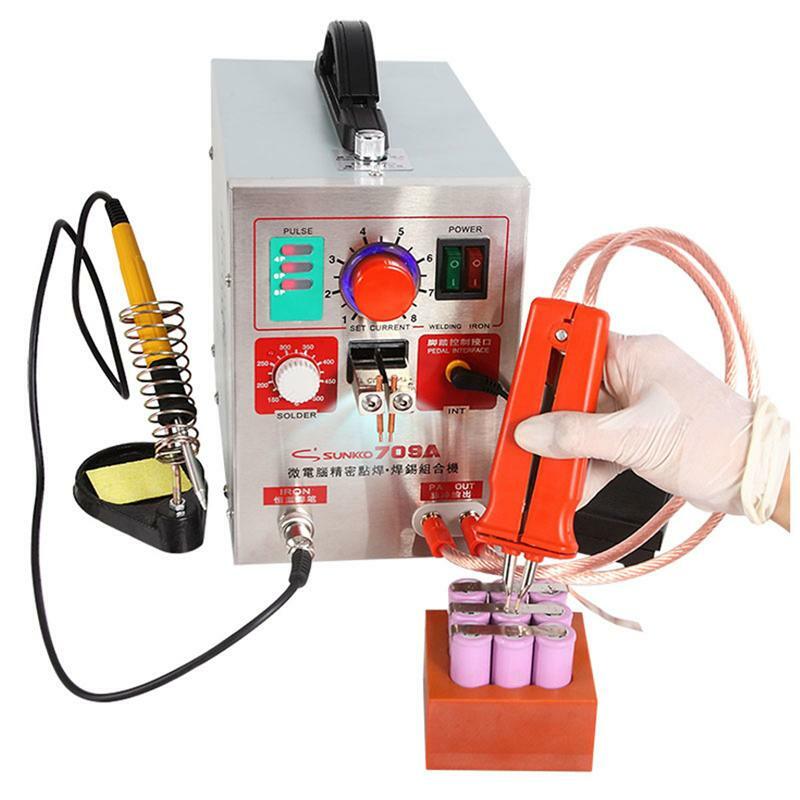 This spot welder can be used to weld the nickel, nickel plated steel, nickel plated iron, iron and other alloys, but it can\'t be used to weld metal including copper and aluminum. 3. The welding thickness 0.03 - 0.3 mm indicates the thickness range of all alloy it can be weld, for nickel or nickel plated steel, the range is 0.08 - 0.3 mm. 4. For the requirement for electric leakage switch is more than 60 A, it is not recommended to use at home. If you buy now, we will send 100 pieces 0.1*4*100 mm nickel plated steel strip and a battery clamp as a gift.